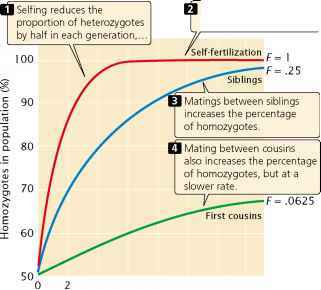 An assumption of the Hardy-Weinberg law is that mating is random with respect to genotype. Nonrandom mating affects the way in which alleles combine to form genotypes and alters the genotypic frequencies of a population. We can distinguish between two types of nonrandom mating. Positive assortative mating refers to a tendency for like individuals to mate. For example, humans exhibit positive assortative mating for height: tall people mate preferentially with other tall people; short people mate preferentially with other short people. Negative assortative mating refers to a tendency for unlike individuals to mate. If people engaged in negative assortative mating for height, tall and short people would preferentially mate. One form of nonrandom mating is inbreeding, which is preferential mating between related individuals. Inbreeding is actually positive assortative mating for relatedness, but it differs from other types of assortative mating because it affects all genes, not just those that determine the trait for which the mating preference occurs. Inbreeding causes a departure from the Hardy-Weinberg equilibrium frequencies of p2, 2pq, and q2. More specifically, it leads to an increase in the proportion of homozygotes and a decrease in the proportion of heterozygotes in a population. Outcrossing is the avoidance of mating between related individuals. With inbreeding, the proportion of heterozygotes decreases by 2Fpq, and half of this value (Fpq) is added to the proportion of each homozygote. If the two alleles are the same in structure and function but do not have a common origin, they are identical by state. If the two alleles are descended from a single allele present in the ancestral population, they are identical by descent. 23.4 Individuals may be homozygous by state or by descent. Inbreeding is a measure of the probability that two alleles are identical by descent. 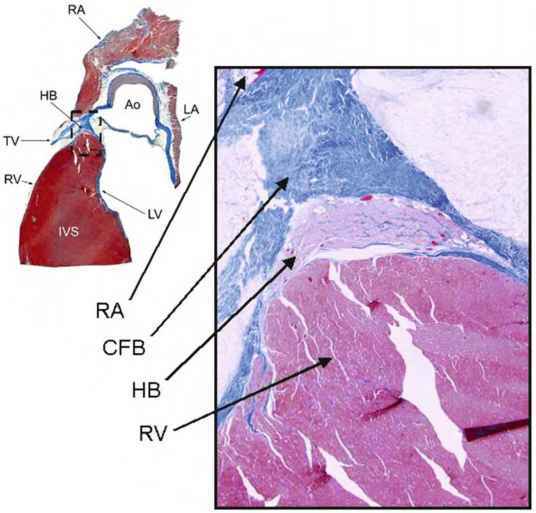 .leading to a completely homozygous population. 4 23.5 Inbreeding increases the percentage of homozygous individuals in a population. progeny only of the same homozygous genotype (AA X AA produces all AA; and aa X aa produces all aa), whereas only half the progeny of a heterozygote will be like the parent (Aa X Aa produces 1/4 AA, 1/2 Aa, and 1/4 aa). Selfing therefore reduces the proportion of heterozygotes in the population by half with each generation, until all genotypes in the population are homozygous (Table 23.1 and 4 Figure 23.5).